Out of historical view a very important rose, for this was the first remontant moss rose. 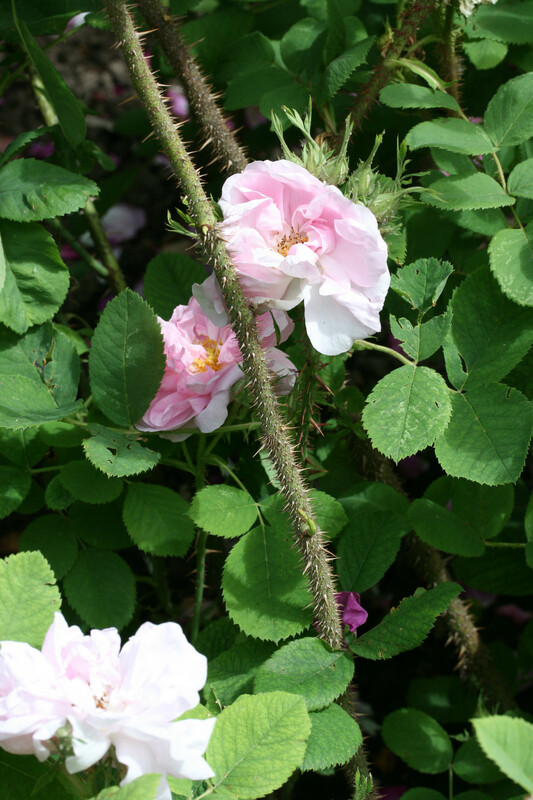 This rose is a sport from the Damask Rose ‘Quatre Saisons’, to which it’s sometimes sports back. The foliage is of the same color, but when the leaves mature, they get a nice velvety surface. Blooming in clusters; the flowers are white, with a faint blush tint on opening and grow out of very large, characteristic bracts (a sort of malformed leaves in the space between the leaves and the foot-stalk of the flower). The calyx is entirely covered with brownish-green moss, long and very close, producing a more agreeable effect than any other moss rose. Lovely dark red prickles on the stems of new shoots. François Joyaux believes that ‘Quatre Saisons Blanc Mousseux’ was not bred by Laffay in 1835, but was bred by an unknown amateur breeder from the region Thionville in the year 1829. The Damask Roses have proved the most elusive and most diverse of all the old roses. Dr Hurst’s notes regarding the ‘Scarlet Four Seasons’ are of great use, for they point to the probable origin of the Portland Roses. 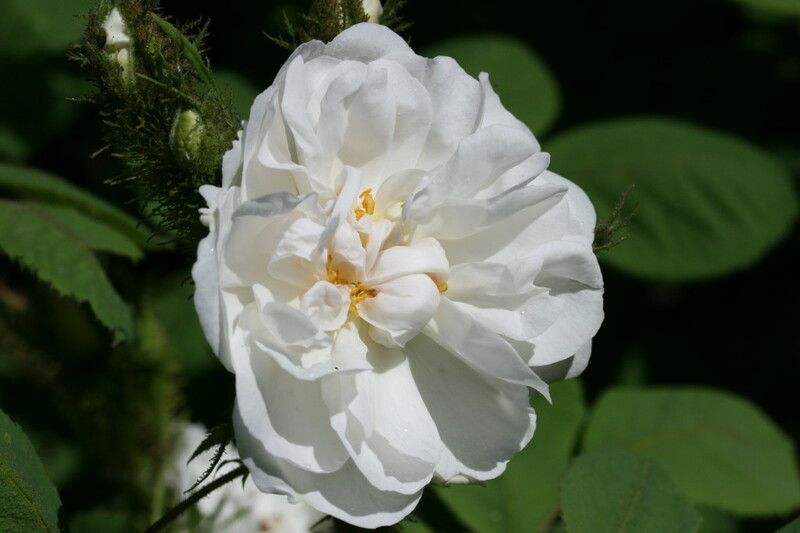 These roses have one character which is very peculiar: the flowers have very short stalks or “necks”, and sit tightly upon a rosette or a “shoulder” of leaves, exactly as the flowers of ‘Quatre Saisons Blanc Mousseux’. I have seen ‘Quatre Saisons Blanc Mousseux’ sporting back to ‘Quatre Saisons’ and it is strange and fascinating to see two so different roses on the same bush. Most help articles on the web are inaccurate or ineochrent. Not this!